Experience Italy’s less visited gems! Find an authentic Italy of today steeped in rich beauty and a colorful past. Our Blue Walk Italy walking tour vacation is an idyllic combination for those who have seen the big cities of Italy or want to do something unique and very special. 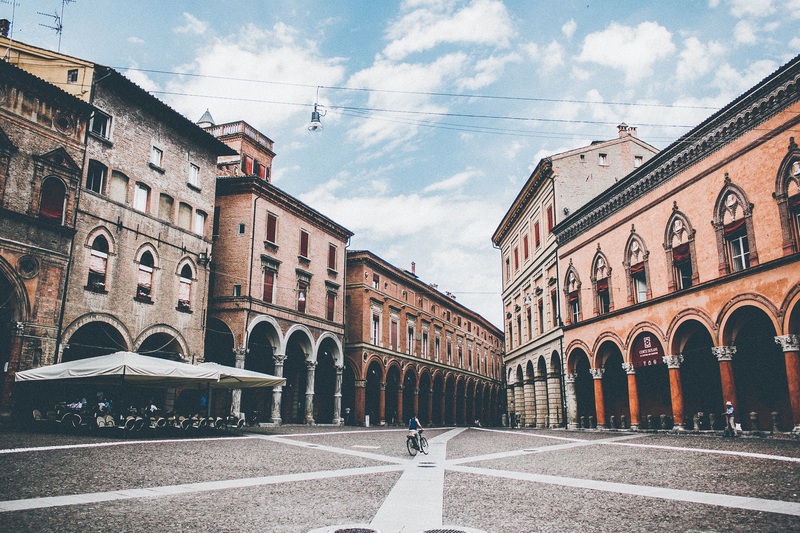 Arrive to northern Italy’s Milan. Then travel by rail to the little known harbor town of Rapallo. 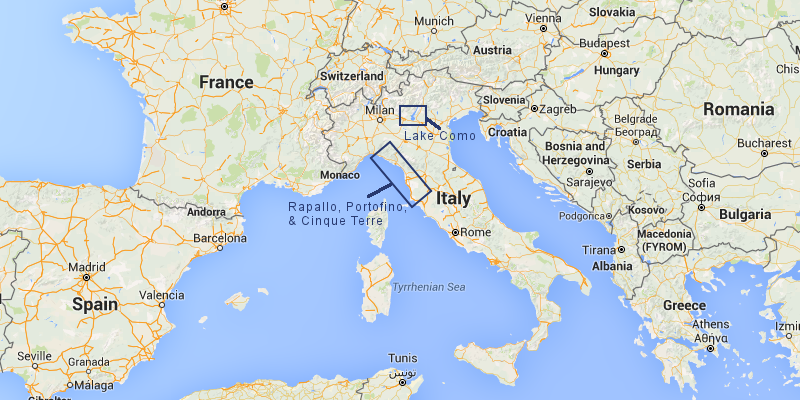 From there we will stage visits to Portofino and Cinque Terre. After soaking in the beauty of the Italian seaside, we spend the second half of our tour on the shores of serene Lake Como. Our Italy walking tour begins in the cosmopolitan city of Milan. We will visit Milan’s famous Duomo and the nearby Galleria Vittorio Emanuele II. Then we’ll christen our time Milanese-style with the Italian ritual of aperitivo. (It’s similar to the American happy hour, but so much more.) Next day, we travel together by rail to Rapallo on the lovely Italian Riviera. Rapallo is a charming harbor town with a sunny promenade, sea views, and historic city center. Lovely all on it’s own, Rapallo is the perfect base to explore the five coastal villages of Cinque Terre in one direction and gorgeous Portofino in the other. The options for sightseeing are plentiful, and we offer guided as well as additional self-guided coastal walks and wanders. Our Italy walking tour’s Rapallo hotel is a family-owned 4-star perfectly situated in the center of it all. Exploring Cinque Terre: A hop-on hop-off train connects the 5 villages of the Cinque Terre. For those who would like to earn the views, optional walk/hikes can also take you from town to town. The next stop on our leisurely walking vacation is Lake Como. Via train and a short ferry ride we arrive to the posh village of Bellagio, referred to as the “Pearl of the Lake”, or the laid-back village of Lenno. Both offer tranquil lake views surrounded by the wooded, towering pre-Alps. 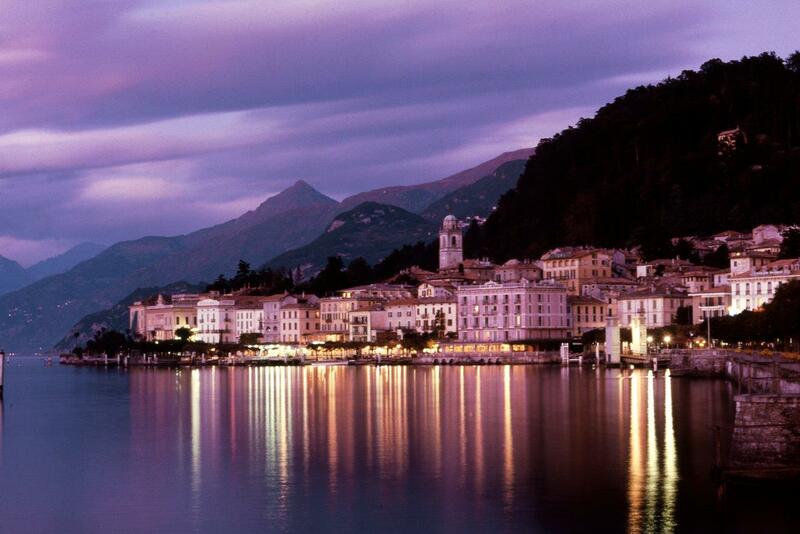 At our handsome lakefront hotel we will enjoy a welcome aperitivo on the terrace. Bellagio’s beautifully restored, centuries-old buildings and array of artisan shops deserve a day to explore all on their own. We have a very popular Italian cooking class option where you can try your hand at making some of the wonderful dishes you’ve enjoyed along the way. And of course you’ll have to save room for a tasty gelato. Optional lakeside walks allow you to discover ancient lake-side paths. If you’d prefer to raise your elevation, professional mountain guides may be hired to lead the way. The remainder of your Italy walking tour may be spent exploring Lake Como and nearby towns by ferry, stopping here and there to stroll the promenades. You will have time to visit to the stately Villa del Balbianello (as seen in the James Bond film Casino Royale) or picturesque Villa Carlotta. On our final evening we will gather for a farewell dinner to enjoy a final glass of wine and recall adventures achieved. Join us for a fun, relaxing, and delicious vacation in beautiful Italy! All hotel taxes and service fees. Airfare is not included, and all programs are subject to change. The Italian Riviera, synonymous with Italy’s Liguria region, is a crescent-shaped strip of Mediterranean coastline between the south of France and Tuscany. 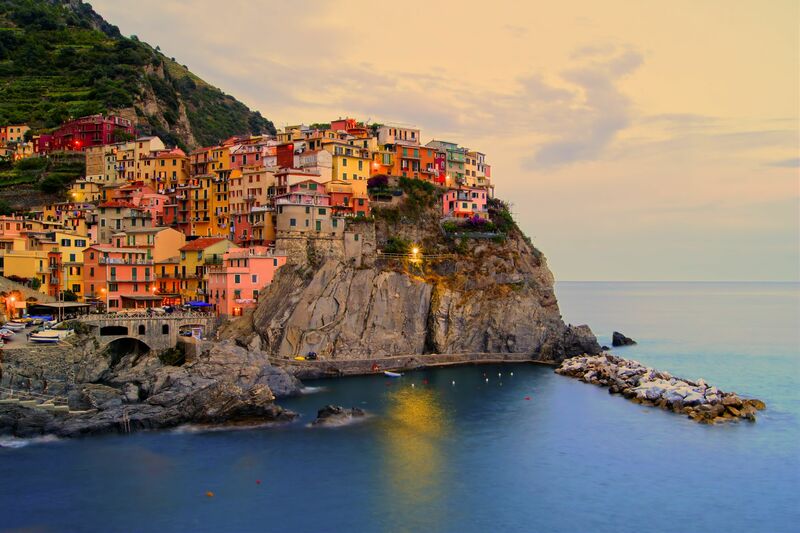 Its eastern half, the Riviera di Levante, is defined by its rugged cliffs, turquoise coves and pastel seaside towns, including the Cinque Terre fishing villages, and it’s stylish resort areas including Portofino. Lake Como, in Northern Italy’s Lombardy region, is an upscale resort area known for its deep-blue waters set against the rugged, forested foothills of the Alps and coastlines dotted with colorful Mediterranean Villas. Both are ideal locations for your Italy walking tour vacation.